Screwdriver operated, brass, chrome plated isolating valve. Used in hot or cold water systems to isolate part of the system: avoids the need to drain down the whole system to carry out work. 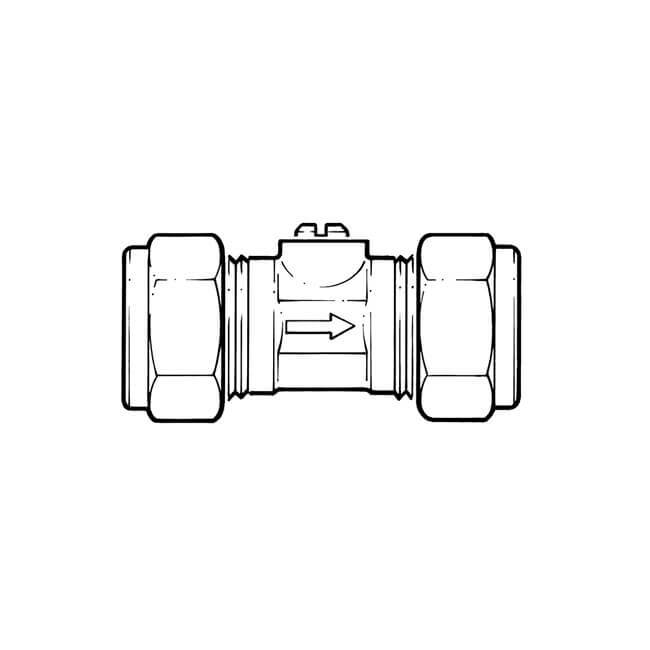 Compression fitting at each end. 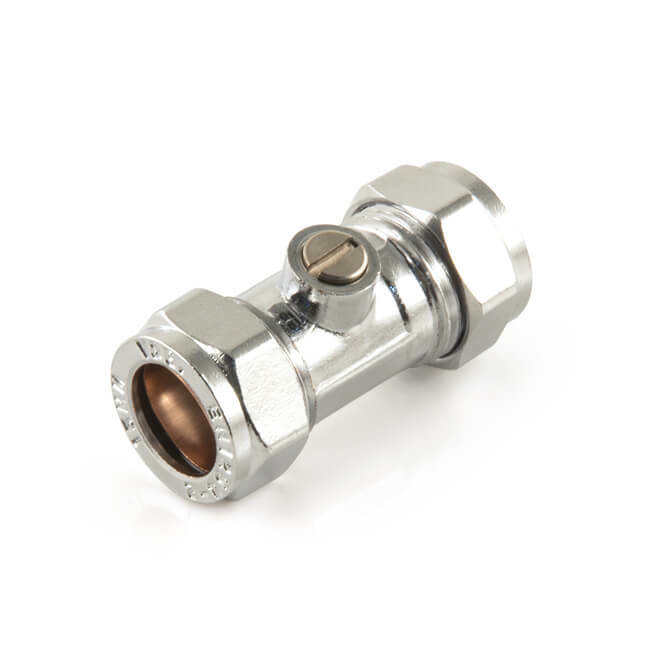 Chrome Angled Service Isolation Valve 15mm x 1/2"